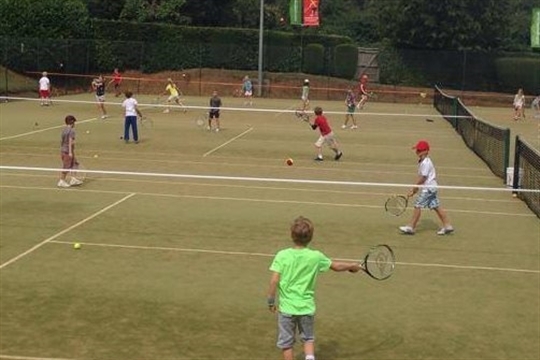 Tennis4All currently runs various schools programmes around the Northamptonshire area. We can offer a variety of coaching programmes Most of our school programmes run all year round, some only run for part of the year. We can work with you throughout the year to help improve the standard of your student's tennis fundamental skills, this could lead to greater performance in their other sports as many are easily transferable. Maths and Literacy can be incorporated into these lessons, as well as teamwork. This support can be offered all year round not just in the Summer or the run up to a School Games Competition. We are very flexible and will set up coaching programmes for any school where possible no matter how big or small. We try to encourage the really keen children or the ones that show good potential into our club programmes to get them playing tennis to the next level. If your school might be interested in Tennis4All coming to your school please contact: james@tennis4alltennis.co.uk or Tel:07747785344 .